Another month, another handful of games that PlayStation Plus members are getting for free. It's the gift that keeps on giving. Aside from being the biggest, most important card game of the past 20 years, Magic: The Gathering has become a nexus point for different types of players. Some people get a kick out of building clever, efficient decks using powerful cards. Others love the thrill of outsmarting their opponents. And the countless variations that sprung from the original game speak to even more people, such as formats that force you to build decks from a limited pool of cards. A game like Duels of the Planeswalkers, which exists to speak to the greater game-playing community outside of Magic, should reflect this diversity in play. But even though Magic 2015 makes some significant additions that people have been asking for since the first Duels was released, its feature-light foundation and odd limitations keep it from being the joyous celebration of Magic's virtues that it should have been. Of course, Duels was always meant to be a limited experience to some extent. It's the video game version of the most popular physical card game in existence, a simulation that allows interested parties to avoid the massive money pit Magic is associated with creating. The built-in Campaign mode also means you never need to worry about finding someone to play with, because the AI is more than capable of piloting the wide variety of enemy decks the developers programmed into the game. The game exists as a convenience, leveraging the power of the medium of video games to give us a way of playing Magic on our own terms, even connecting players across the world thanks to online play. The game interface point of view makes it look like you're playing at a real table. Ultimately, however, the primary function of Duels of the Planeswalkers is to be a big, fat advertisement for the physical game aimed at the video game enthusiast crowd. You need only look at the menu for proof, as an entire section is dedicated to promoting Friday Night Magic, the centerpiece of Wizard of the Coast's organized play for tabletop game stores, even going so far as including a store locator. As such, Duels condenses 20 years of Magic into a complete, standalone package designed to entice people to check out the paper game. A carefully-curated selection of cards ensures players aren't overwhelmed by choices, and premade decks eases them into the game without needing to worry about deck building until they're used to playing. As always, Duels of the Planeswalkers provides neophytes with a nice little cross section of the game proper without taking anything away its core. In this light, 2015 represents a holding pattern. You still get a Campaign mode in which you face AI opponents using your pick of premade decks, you still win cards that can enhance your base deck, and the interface is still as friendly as it ever was, breaking down the many phases that make up each turn into easy-to-understand segments. The timer still makes thinking out turns awkward; you must rush to stop the countdown before you map out your next, a necessary conceit to make sure people don't stall out in multiplayer that feels unnecessary in Campaign mode. 2015 takes you on a tour of six worlds in the Magic universe. One previously glaring omission that 2015 remedies is in the deck-building options. Until now, you couldn't meddle much with the decks you're given: the cards you won could only be swapped in and out of the deck it was paired with. Switching between decks wasn't allowed, and though this kept with the innate simplicity of the Duels series, it deprived players of one of the cornerstones of the Magic experience. 2015 allows you to put whatever cards you want into your deck; you may even tear the whole thing apart and start from scratch if you wish. Instead of winning individual cards, you win boosters from each Campaign game which let you further customize your deck and build a virtual collection of Magic cards. As a result, newer players can gain better understanding of the game beyond what was allowed before, encouraging experimentation and on-the-fly deck testing, an aspect that should have been possible in the series in the first place. This new, necessary feature comes with an odd limitation: You're only allowed one premade deck before you're sent on your way and left to your own devices. This doesn't sound so bad at first; after all, that's how it works in real life. You get enough cards to build your own deck, and then you add to it as you get more cards. But giving players access to a multitude of premade decks in previous games showed off the true breadth of potential play styles, and, more importantly, what's possible in Magic. Limiting players to a single deck restricts them to one type of play style no matter what. It's difficult to change gears if something doesn't work for you because most of your cards are in the two colors you started with. Changing to a new color is out of the question until you build your collection further, which you can't do until you win more matches. It's a catch-22 that is only compounded by the way in which certain decks are weak against others, and since you now can't swap out decks, you will often find yourself bottlenecked. The primary function of Duels of the Planeswalkers is to be a big, fat advertisement for the physical game aimed at the video game enthusiast crowd. Beyond its new deck-building options, 2015 is characterized by a complete lack of modes beyond the single-player Campaign and multiplayer matches. Previous versions of the game included extra modes like puzzle matches, Archenemy, and Sealed Deck, each of which tested Magic skills in different ways. What you have with Magic 2015 is a stripped down version of what came before, which is a shame. The multitude of different ways that people enjoy Magic beyond the base game isn't represented in the slightest. Instead, the biggest "feature" in 2015 is a new in-game store that lets you buy premium packs made up of cards that you can't earn within the game. Perhaps the game was meant to be more like Hearthstone or Magic online, games in which you're able to pay to add to your collection, but in reality, 2015 needlessly nickels and dimes, making it far less than a complete experience. And yet even with all these problems, Magic: The Gathering is still the fun, challenging game it's always been. Learning the complex interactions between cards is a joy, and the game is extraordinarily replayable. 2015 also features newer cards from the Theros block and the Magic 2015 core set, so fans of previous installments can play around with cards and mechanics they've never tried before, which is enticing for existing Duels fans. People who want more Campaign mode and straight-up online multiplayer of the core game may be satisfied, if annoyed by the unnecessary deck limitations. Nevertheless, they are still better served going to their local store and checking out the physical game. Duels of the Planeswalkers 2015 gives players what they've wanted for a long time by implementing deckbuilding, but it doesn't excuse the bare-bones package and needless extra monetization. The game within the template is still as fantastic as ever, and once you get into the groove, you'll enjoy stomping your enemies with your tuned deck. It's just a shame that 2015 never aspires to be anything more than a shell and delivery service. What will your children inherit when you die? Your house? Your debts? Your sweet record collection? The PlayStation port of Rogue Legacy has inherited its PC parent's engaging exploration and combat, mixing some of the best elements from games like Spelunky and Castlevania: Symphony of the Night to create a fusion that makes each individual play session feel distinct while also giving you a satisfying sense of progression. It may not have gained much in the transition, but Rogue Legacy is still as great as it always was. Rogue Legacy drops you into a randomized castle that's very reminiscent of Symphony of the Night, not only in its map and exploration style, but also in combat basics, in the feel of the movement, and even in its many enemy types. You jump and slash your way through a 2D map with a sword and a variety of secondary weapons (including an ax that's thrown in an arc), fighting the likes of skeletons, flying skulls and sword-wielding heavies in bulky armor. Obtaining the ability to double jump or dash unlocks further exploration options, allowing you to find better chests that yield better loot. Rogue Legacy is far from a cheap Castlevania knockoff, but the inspiration is clear. Pausing the game won't save you, it will just identify all the things about to kill you. One of the main differences between the two games is that death is permanent in Rogue Legacy. When you die, you're done, and you must start a new adventure at the beginning of the castle next time around, though certain aspects remain constant. (For example, the forest is always on the right side of the map.) You don't collect much in the way of items or weapons, but when you die, those are gone too. When other games in this vein talk about permanent death, they really mean it. You start over from square one, and you carry absolutely nothing with you. But in Rogue Legacy that's not entirely true. Any items you collected or enemies you killed are lost, yes, and the castle will be different the next time you enter it. But all the gold you collected stays with you, passed down to your child as an inheritance. You can spend that gold on equipment, buffs or permanent stat upgrades that persist with each run through the castle. So while you're not playing as the same character throughout the game, you're still getting stronger every time you play. Admittedly this can make the early parts of the game somewhat tedious, as you probably won't be powerful enough for certain enemies no matter how skilled you are at dodging attacks. On the flip side, that same grind provides a way for less skilled players to eventually brute force their way through even the toughest bosses. How do you want to die? Spikes, a zombie, or a giant sword? It's this careful balance, this mix between steady progression and permanent death, that makes Rogue Legacy so enthralling. Each run feels important, because you will only see the end of the game if you can take out that next boss that you're struggling with, and you just know that this is the run, this is the time that it will all come together and you'll come out the other side alive. You've memorized the attack pattern and perfected your jump timing, so that boss is going down. But if you fail? If you fall to the castle's creatures before even reaching the boss? It wasn't all for nothing. A little piece of that character's legacy will live on, and you will carry better stats with you next time because of it. But even though your base stats will carry on, each child--each new character you send into the castle--is still different, at least to a point. Every time you start the game, you are presented with three random descendents to choose from, and they vary in class and traits. Classes are your typical role-playing fare, with options like the barbarian, a class with a large amount of health, or the assassin, who is low on health but has a higher chance of critical hits. Traits are a little different, as they're random attributes that could have wildly different effects--or no effect at all--on how that character operates. Many traits are clever even when they make gameplay more of a chore, such as having a hero that is colorblind (thus making the game black and white) or a heroine who is a hypochondriac, which makes the damage numbers spilling from your character exceptionally larger than their actual value. Other traits are more pointless and even sophomoric, such as the I.B.S. trait that makes you fart randomly. Still, these neat elements of randomness help mix up the individual playthroughs. Kids, this is why you don't do drugs. All three PlayStation versions of the game (PS3, PS4 and Vita) are virtually identical, with the Vita version only missing out on one ultimately pointless feature, a trait that induces "random muscle spasms" and makes your controller vibrate. All three are wonderful versions of the game, though the text on the Vita version can be blurry and hard to read at times. They also contain extra content that was added to the PC version after its initial release, including new traits, new rooms, and, most noticeably, remixed versions of the game's bosses that provide a good challenge to anybody who seeks them out. Rogue Legacy supports Sony's cross buy and cross save features, letting you pick up your saved PS4 game on your Vita with relative ease. The PlayStation 4 has been a huge success for Sony, as the console has taken an early lead in the 8th generation console race. Revenue for the latest quarter which ended on June 30 nearly doubled to 257.5 billion Yen ($2.5b). Sony reported a profit of 4.3 billion Yen ($43m) in the gaming division, which is up from a loss of 16.4 billion ($164m) during the same quarter a year ago. Sony also released shipments of its video game platforms. Shipments of home consoles, the PlayStation 4 and PlayStation 3 combined, more than tripled from 1.1 million units a year ago to 3.5 million. Handheld consoles, the PlayStation Vita and PSP, also saw a slight uptick in shipments from 0.6 million units to 0.75 million. Software sales increased from 68 billion Yen to 85 billion Yen. The 3.5 million home consoles shipped is way above the 1.1 million Microsoft reported for the Xbox One and Xbox 360 combined during the same quarter. Sony forecasts revenue of 1,240 billion Yen for the gaming division for the full year. Profits are expected to be 25 billion Yen. A life-long and avid gamer, William D'Angelo was first introduced to VGChartz in 2007. After years of supporting the site, he was brought on in 2010 as a junior analyst, working his way up to lead analyst in 2012. He has expanded his involvement in the gaming community by producing content on his own YouTube channel and Twitch channel dedicated to gaming Let's Plays and tutorials. Outside, in the real world, he has a passion for the outdoors which includes everything from hiking to having received his B.A. in Environmental Studies. You can contact the author at wdangelo@vgchartz.com. Before Assassin’s Creed turned into the mega franchise it is today, Ubisoft was best known for its odd-looking platformer hero Rayman. His creator, Michel Ancel, has today announced the creation of Wild Sheep Studio. This new independent studio, which Ancel co-founded, will consist of 13 employees in total. GS News – Sony Makes 41.8m Profit; PlayStation Now Beta Launches! Sony want your feedback on PlayStation Now while they roll in their piles of PlayStation money, and Capcom is hoisted up by Dead Rising 3 sales! The fourth and final round of Call of Duty: Ghosts DLC will make its debut on Xbox platforms next week, Activision announced. 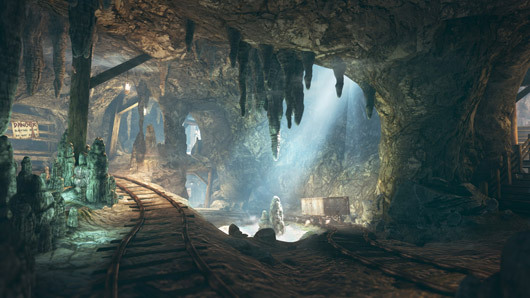 The Nemesis DLC pack adds four new multiplayer maps: Goldrush, Subzero, Dynasty, and Showtime, a "reimagined" version of the Shipment map originally featured in Call of Duty 4: Modern Warfare. Nemesis also includes the final chapter in the co-op Extinction storyline, pitting players against a new alien breed equipped with psychic powers. Nemesis premieres on the Xbox 360 and Xbox One on August 5. Releases for the PlayStation 3, PS4, and PC platforms will follow in September. Final Call of Duty: Ghosts DLC pack hits Xbox Live August 5 originally appeared on Joystiq on Thu, 31 Jul 2014 18:00:00 EST. Please see our terms for use of feeds. 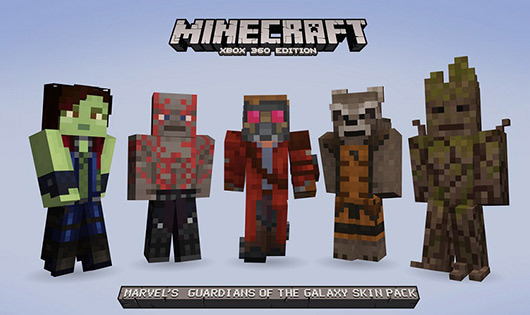 The latest intellectual property to appear in the Xbox 360 version of Minecraft via DLC skin pack are the Guardians of the Galaxy, just in time to promote the Marvel Studios film of the same name. According to Play XBLA, the Guardians of the Galaxy skin pack will include 24 skins "inspired both by Marvel's blockbuster film and the comic books." This means you get the expected faces like Starlord and Thanos, but also more esoteric characters like Angela, an angel Neil Gaiman first debuted in the pages of Spawn, before convoluted legal wrangling and a cosmic wormhole recently shunted the half-naked celestial warrior maiden into the Marvel Universe. Lacking from the Play XBLA announcement are any details on when this DLC pack might arrive or what price point it may feature. Instead, we're told that more information will be coming soon. Guardians of the Galaxy skins to appear in Minecraft originally appeared on Joystiq on Thu, 31 Jul 2014 17:30:00 EST. Please see our terms for use of feeds.